Got something Wario-related you wanna share but it's so random and silly that you don't know where else to put it? This is the place! Videos, pictures, stories, as long as it's random and doesn't fit anywhere else. I thought this when seeing this game too! In other bootleg news, Wario tries to imitate Kirby. Badly. Wario appears in this Punch-Out!! NES hack as the referee. Von Kaiser is Little Mac's coach and basically all the sprites are changed to other Punch-Out!! characters (except maybe the alien). There's also a romhack of Puggsy for Sega Genesis. 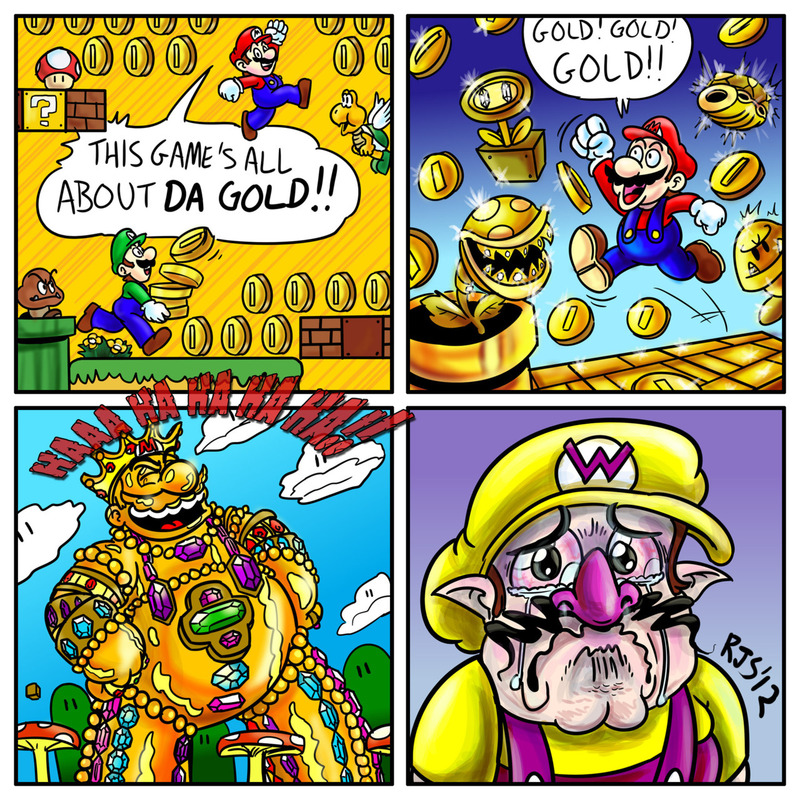 I guess Wario loves imitating people for who-knows-why. Wait.... what am I looking at? ashley's voice actress and the vocalist for the original version of mona pizza editing her wiki page. Whoa, is it really her? I never thought those guys would care enough to look into our Wario stuff, much less edit it.